Gillian has a passion for values based leadership, enabling high performance teams to deliver excellent results. She works to develop leaders and aspiring leaders to maximise their impact to benefit the organisations in which they work, as well as society as a whole. Through the Møller Institute at Churchill College, Gillian provides executive education with a unique combination of academic and practitioner-based learning, cultural experience and inspirational thought. 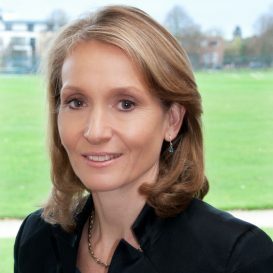 Gillian represents the Cambridge Colleges on the University of Cambridge Board of Executive and Professional Education. A qualified business coach (having trained with Meyler Campbell and the Coaches Training Institute of California); and a Chartered Director and Fellow of the Institute of Directors (IoD) Gillian is also completing her Master of Studies in Sustainability Leadership at the University of Cambridge.